Ophthalmologists are physicians who have completed four years of medical school and a one-year internship. This is followed by three or four years of residency training where one specializes in the diagnosis, treatment, and surgical management of eye conditions. Some ophthalmologists then complete Fellowship training for additional years. Dr. Reinke, for example, completed a two-year Fellowship specializing in Vitreoretinal Diseases and Surgery. Trusting your vision to an ophthalmologist like Dr. Reinke means you are receiving care from a highly educated MD with extensive training in ocular surgery including cataract removal with intraocular lens implantation, LASIK, and IntraLASIK. Dr. Reinke and his team are dedicated to providing outstanding vision care to patients across the DFW Metroplex. 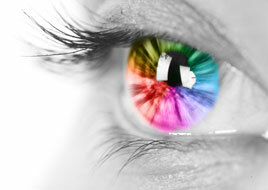 Our offices are equipped with state-of-the-art technology allowing us to offer the latest in ophthalmic treatments. Dr. Reinke has more than 15 years of experience and has performed thousands of advanced cataract surgeries and LASIK procedures. He is also highly skilled in treating patients with retinal diseases, as well as providing comprehensive ophthalmic care. Dr. Reinke personally performs all surgical procedures and manages all pre- and post-operative treatments as well.